Compassion – Giving for the sake of giving rather than for the sake of gaining. Giving… even when there is no short term compensation. Giving above and beyond for every individual client and the universe will reward you. Owning your own performance – Spending time self-evaluating and finding reasons to reach your goals rather than pointing fingers at others. One needs to be in the “Getting it Done” business… and not the “Excuse” making business in order to be successful. Sharing – Inviting passionate individuals to share in the fruits of our success. Grow your business by finding qualified individuals with entrepreneurial and “giving” qualities. Truth – Honesty, integrity, and truthful consultation lead to durable and everlasting business relationships. 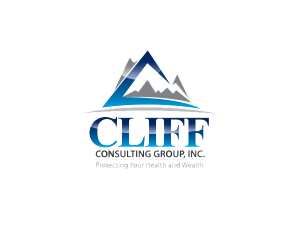 This website is operated by CLIFF Consulting Group Inc and is not the Health Insurance Marketplace website. In offering this website, CLIFF Consulting Group Inc is required to comply with all applicable federal laws, including the standards established under 45 CFR 155.220(c) and (d) and standards established under 45 CFR 155.260 to protect the privacy and security of personally identifiable information. This website may not display all data on Qualified Health Plans being offered in your state through the Health Insurance Marketplace website. To see all available data on Qualified Health Plan options in your state, go to the Health Insurance Marketplace website at HealthCare.gov.